In addition to incredible yarns, such as Britsock; Wensleydale &Shetland; BFL & Masham and BritSilk, you will find screen-printed bags and books, hand-crafted stitch markers and exclusive yarn clubs in her online shop. You will see Joy and Bobbie at The Great London Yarn Crawl this Saturday and at Yarndale later this month (23-24) and hear more about new shop additions later in the show. I don’t know about you, but my stash is a mixture of different sorts of intentions. Mainly it comes under the category of “I saw it, I wanted it, I bought it”, followed by “This would go fantastic with that design”. I hold no sway with hiding stash and jokes that your partner can’t see that you’ve bought more (Love your stash, don’t lie about it!) but it does mount up and it can overwhelm us, now that we can deal with. I want you to go to your ravelry queues right now and look at all those patterns on there that you have that purpose sourced yarn for in your stash. If they aren’t in your queue, I know they are in your library. Pick out four; they can be the first four, the last four you added, or a random pick. When you have decided on your patterns, go get the yarns and find four lovely project bags to put your yarn and pattern into. In October, January, April and July I will put out a prompt for The Good Intentions Club and we can make good on our intentions to make those awesome knits. You can decide which pattern you will make each quarter, or leave it up to chance! I’ve got Mahy and Hansel already in bags and I need to do a bit of deciding on the other two. If you really can’t decide on all four, make a decision for the October and January ones and in the New Year you can decide on April and July. We can have our own club and the best bit is we are all paid up, the yarn has arrived and we’re ready to go. I’ll do a post on this soon too, about dates, prompts, chatter and the like, but I know some of you are bubbling with excitement already! 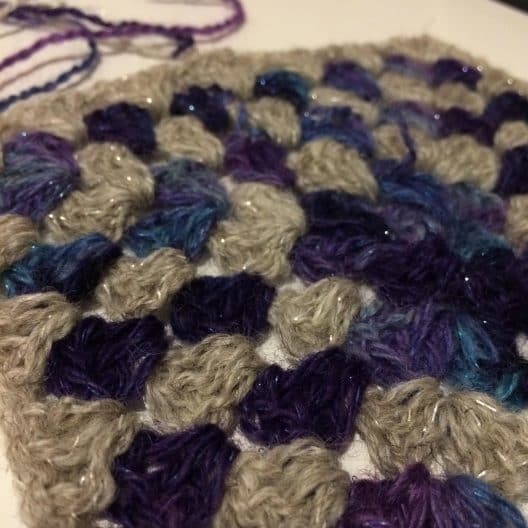 This is our ongoing motivation to remake some old favourites, over in the Ravelry group. I’ve almost finished the Marin shawl and I am delighted to tell you that the yarn from Kettle Yarn Co is now available to buy! I’ll do a proper review for you when the shawl is done, but you should hop on over to Kettle Yarn Co, to check out the Shetland/Romney blend. AND watch out as Linda is thinking about hosting a Ramble-KAL, so seek out her online chatty places for info. 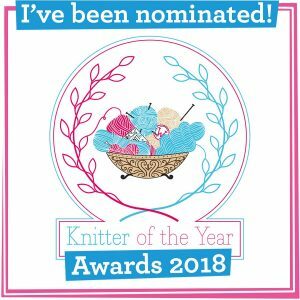 Jess, from Ginger Twist Studio, is organising the Edinburgh Knitathon and if you’re going to be in Shetland, or the Small Holders like me, you can still donate via the link above. Jess actually has got a lot of stuff happening this month that incorporates local news and goes much further than that. Jess and Clare Devine are hosting a second Tea Collection Club this year and those of you who signed up for the first quarter may have cast on with that already! The second quarter should be on sale now! Watch www.gingertwiststudio.com for details. Something I know that lots of you will be excited about is that Jess will be stocking Brooklyn Tweed yarn. Obviously that is not a British wool, but I know there are lots of BT lovers out there and Jess is definitely a UK LYS that we should be supporting. I spoke to her about the yarn and the fact that she is the first stockist of BT in Scotland. Jess will be at Perth Festival Yarn on Saturday, and she will be launching the next Neighbourhood Sheep Society (Sadly sans Clare! ), their British wool club, which runs annually. Jess couldn’t give too much away but we can expect all different breeds that used before and some combining dyed and undyed wool. Be sure to check the website (again) after 10th September, to sign up for that. The previous years NSS club patterns will be printed soon too, so if you weren’t in the club you can enjoy the designs now. The yarn is fourply – 70% BFL, 23% Masham and 7% lurex; its available in single colours, multis and mini skeins and I’m reliably informed that Joy is sample knitting up a storm for Yarndale (23-24th September). 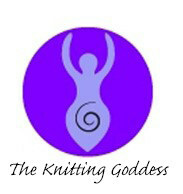 Something else that is going to be a big feature of their stand at Yarndale will be The Knitting Goddess Advent Calendars! They’ll be 24 mini skeins plus a project bag and the yarn is our BFL and nylon so it’s perfect for socks and shawls! What an awesome countdown to chrimbo! 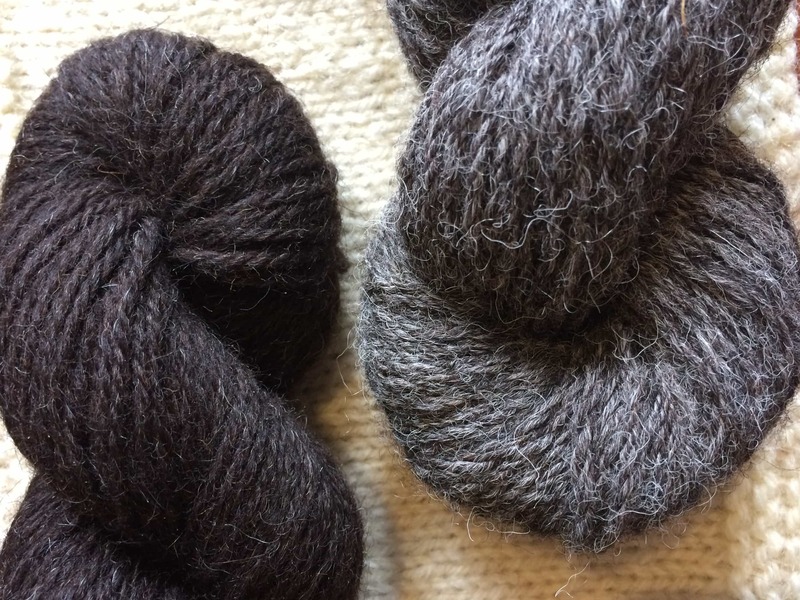 Also you may remember last time I talked about The Knitting Goddess that she was amid planning a new yarn – a single farm yarn, grown, spun and dyed in Yorkshire. Well, she told me this week that Laxtons are spinning that right now! Watch out for that coming very soon! 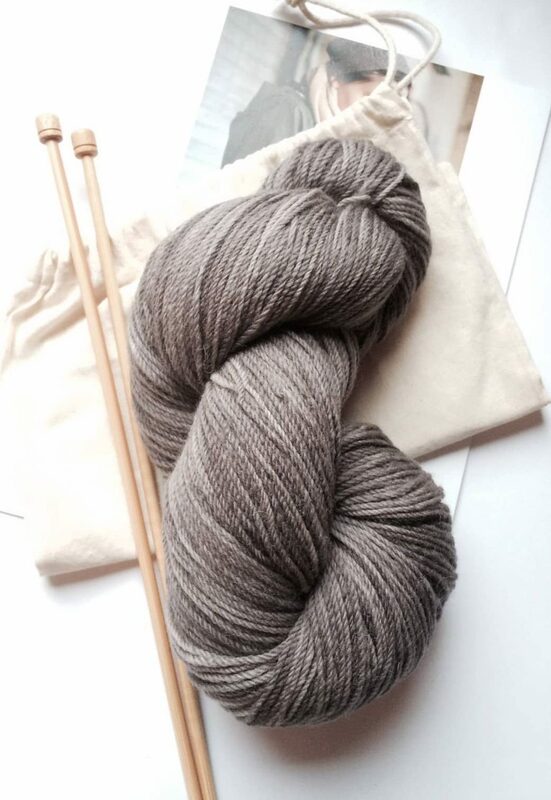 You will remember that I reviewed New Leaf Yarn Shetland and Alpaca on episode 88. Jane has been very kind and offered you lucky listeners a 10% discount in her online shop! There is a lot to choose from – from Shetland Alpaca, to Alpaca and Wensleydale 4ply, to a laceweight alpaca and tussah silk – all of these come in gorgeous natural shades. 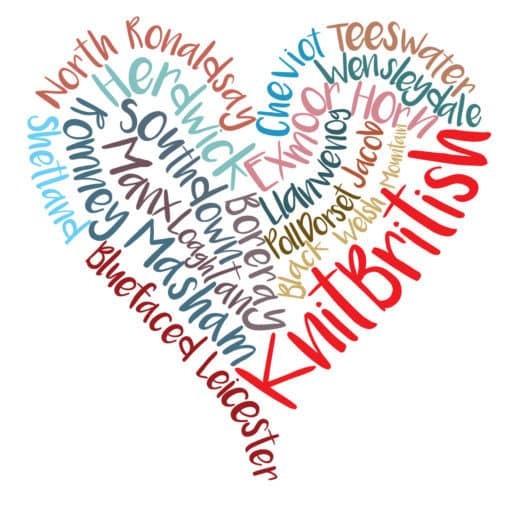 Use the code KnitBritish92 at the checkout at newleafyarns.com to receive 10% off your order. This code can be used until the end of September 2017. Please note that purchases made this weekend will be sent out from Monday. Thanks Jane, from New Leaf, for such a lovely listener discount. Also there are extant discount codes with Brityarn (til 22nd September) with LOVEKNITBRITISH for 10% off your online order. Our lovely pals at Uist Wool have extended their 10% discount to you til the end of October with knitbritish89. This very kind – thanks to all our generous discount benefactors! Blacker Yarn launch their birthday yarn on 28th September, at 8 am. Blacker were very kind and gave five muckers the chance to try out this yarn. Our reviewers – the first five who replied – are Susan Hobkirk, Maylin Scott, Emma Goodlad, Anthea Willis and Barara Mercer. I’m going to read from their reviews in this episode, but I will include the text from their reviews in a later post – which will also have some exciting news about a giveaway too! I include their pictures here along with the info you need. I should say that poor Barb, our woolly mucker next episode, her yarn didn’t arrive yet! I’m hoping that we get to include it next time, and in that post at the end of the month. Today I have been playing with texture stitches and this years gorgeous special edition birthday yarn from @blackeryarns. Brushwork is a blend of luxurious Bowmont, rare Castlemilk Moorit and supersoft alpaca which has been 'dyed in the wool' and beautifully blended to produce 8 dreamy shades which, when knitted up resemble watercolour washes. 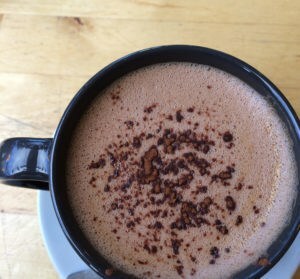 It's warm and fuzzy and delicious and I can't wait to wrap myself up in it this winter! Not out til 28th September. 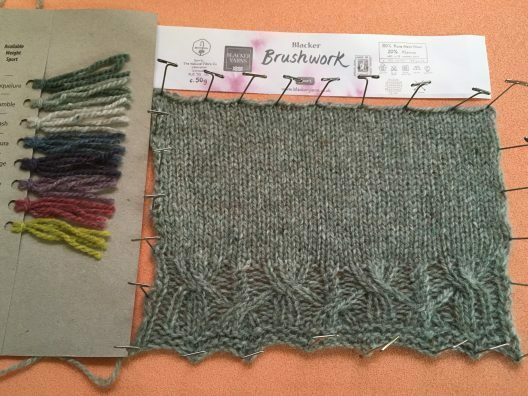 Brushwork is a limited edition yarn. Do you fancy testing out a new ravelry app. 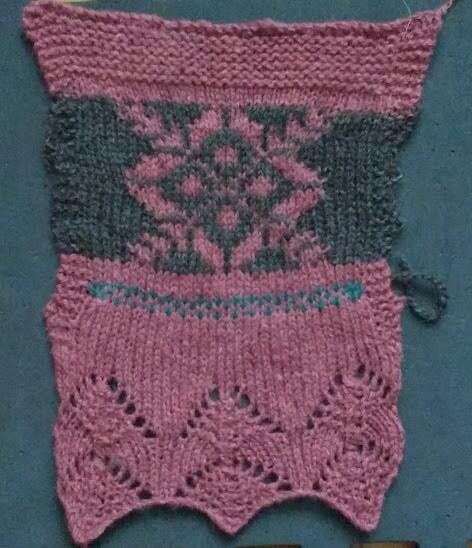 I am moderator on a group on Ravelry for an app in development, which brings a more device friendly look to Ravelry. If you are interested, there is no geekery involved – go over to the Wirsit App group on Rav and say whether you use iOS or Android and if you are interested in testing. There is a set number of testers needed for each OS and if you end up testing, you will get a link to the app and you’ll just be asked to use Ravelry as you normally would and provide feedback on the ease of use, etc. I didn’t make it clear in the recording, but it is not an app developed by Ravelry- this is an app that is being developed with the API, free from ravelry. The podcast will be back at the end of the month and I will be looking at the book A Year of Techniques, from Arnall Culliford Knitwear and talking about our 100 episodes celebratory plans! Thank you for the shout out Louise and for liking our yarns! Oh my, yes! So many good intentions. And sometimes all I need is for someone to say, “Just get going on it!” I’m for this club for sure. I really enjoyed this episode especially the good intentions. Describing the stash and attitudes to the stash made me laugh out loud ( thankfully no one but the dog to notice for once). Just the other week one of my children had chastised me in earnest for my carefully curated yarn collection saying ” we would be rich if it wasn’t for all that string you buy Mum!”. I smiled knowing that some gorgeous Uist wool was in the post helping to dash their hopes of untold riches. Previous Postepisode 91 – she thought she wouldn’t like it but, listener, she did!